1 - Pump with free shaft end. 2 - Pump with coupling. 3 - Pump with coupling and foundation plate. 5 - As in 3 plus electric motor. 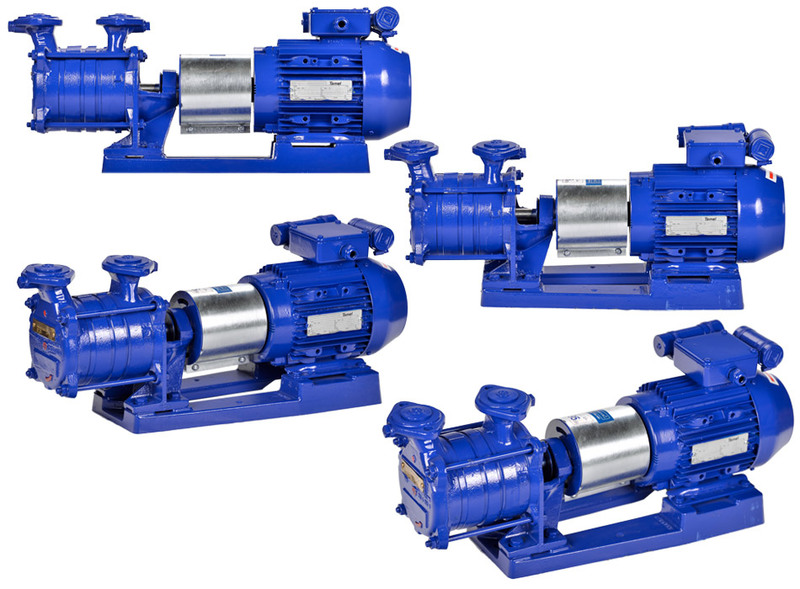 SKB pumps consist of bearing housing , shaft and suction housing in which shaft seals ale installed, as well as of suction, suction-discharge and discharge members, impellers and discharge housing with slide bearing. relatively long life in difficult operational conditions.